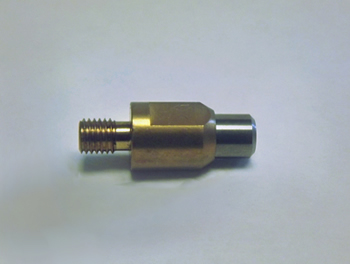 Regardless of what particular area of manufacturing you're involved in, chances are carbide is utilized in the production of a component or end use application. Unsure if carbide should be used in your application? Take a look at our Steel vs Carbide article below. Steel components are utilized in hundreds of different wear applications, however, steel simply isn't always able to hold up to the harsh environments that it is used in. 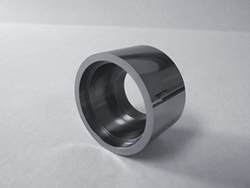 As an alternative tungsten carbide offers a wide range of material choices which greatly improve wear part performance in harsh environments. For years, Bridge Tool & Die has been producing carbide components that no other material can substitute for. With a hardness range from 81 to over 93 HRA (Rockwell "A" Hardness), which is determined for each application, carbide is able to hold shape while under extreme pressure, wear, and temperature. In fact, the only way to effectively and accurately machine these to the final dimensions is to use diamond grinding fixtures. The wear resistance in carbide makes it far superior to any steel (i.e. stainless steel) in harsh or high wear conditions. Are you interested in taking a deeper look into which material you should be using? Contact us and we'll be happy to personally connect with you to discuss your application in more detail!